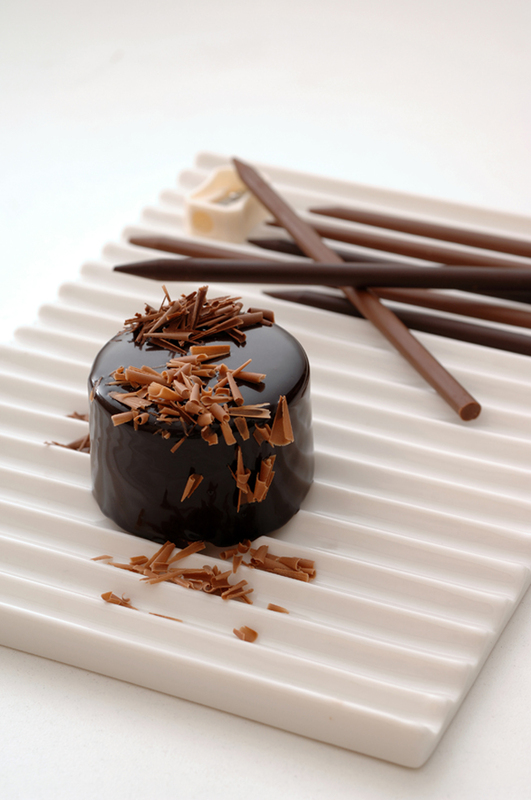 Nendo’s chocolate pencil shavings for Hironobu Tsujiguchi. This certainly isn’t Nendo’s first venture into the world of edible delights. 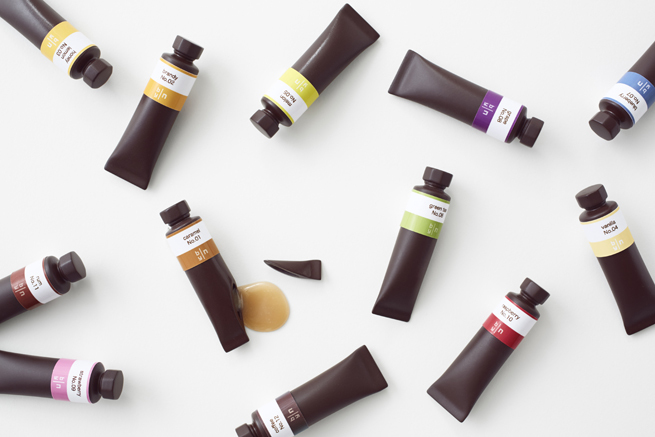 With a portfolio including chocolate pencil shavings, Häagen-Dazs ice cream cake villages, and syrup-filled chocolate paint tubes, the Japanese design house is no stranger to the sweet medium. Life’s day-to-day repetition inspires Nendo chief designer, Toronto-born, now Tokyo-based Oki Sato, when he creates such innovative projects. “When you keep on continuing to do the same thing every day, you notice small differences,” he says. That’s exactly what happened with his company’s latest creation, ChocolateTexture. 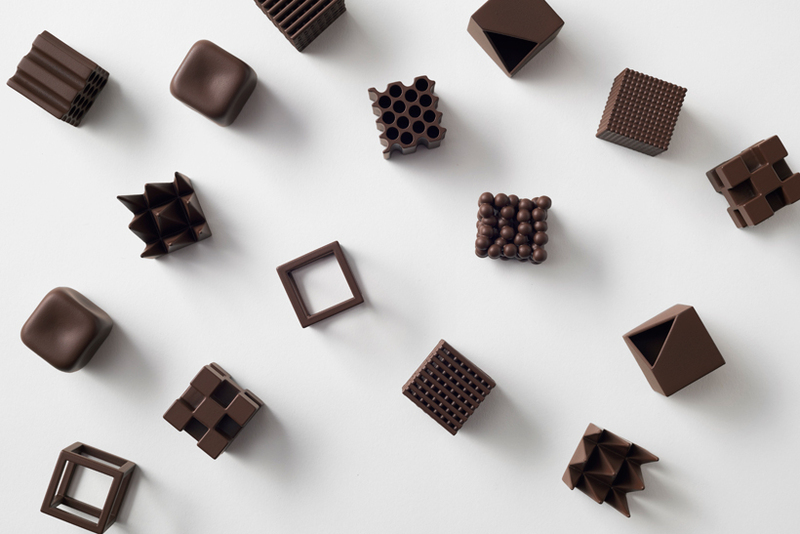 The collection of nine minimalistic confections was made for Paris design show Maison&Objet (Sato was recently named M&O’s Designer of the Year), and Sato tweaks taste by way of the curves and crevices in chocolate. 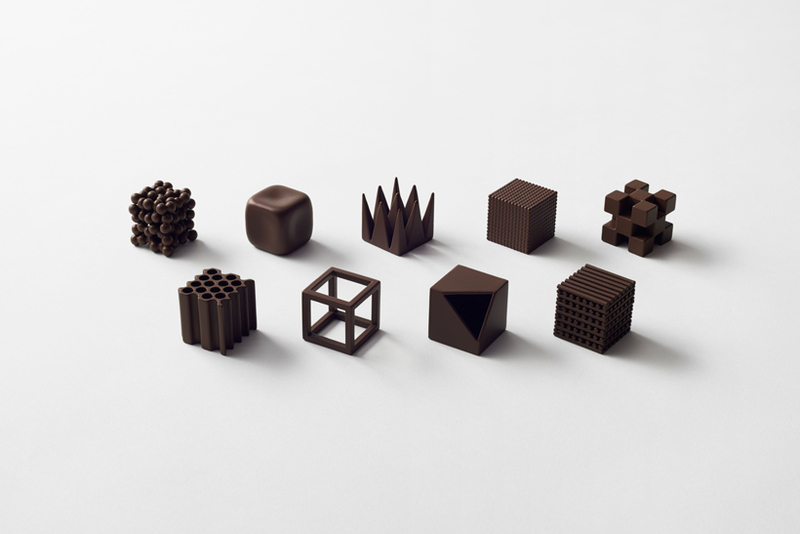 No extravagant fillings or decorations here; instead, the chocolates take various geometric forms, and each one is named after a Japanese expression used to describe its texture: tubu-tubu (chunks of smaller chocolate drops), toge-toge (sharp pointed tips), suka-suka (a hollow cube with thin walls), along with six other unique designs. 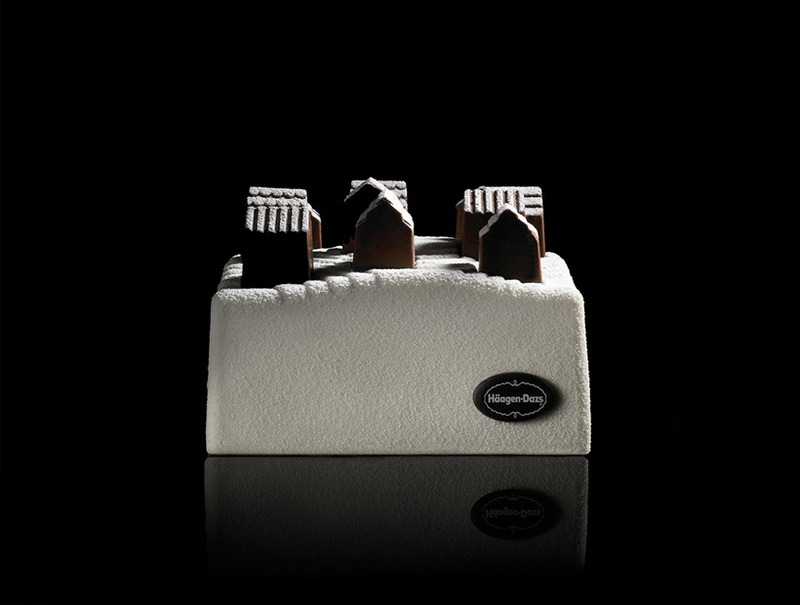 Though all made from the same ingredients, you might discover that the shape of the chocolate offers a different taste experience. Either way, Sato has turned an everyday treat into a playful, delectable objet d’art. A limited-edition set of 400 boxes will be on sale from January 23–27 in Nendo’s temporary lounge at Maison&Objet in Paris.